Internationale Lettriste. Internationale Lettriste no. 3. 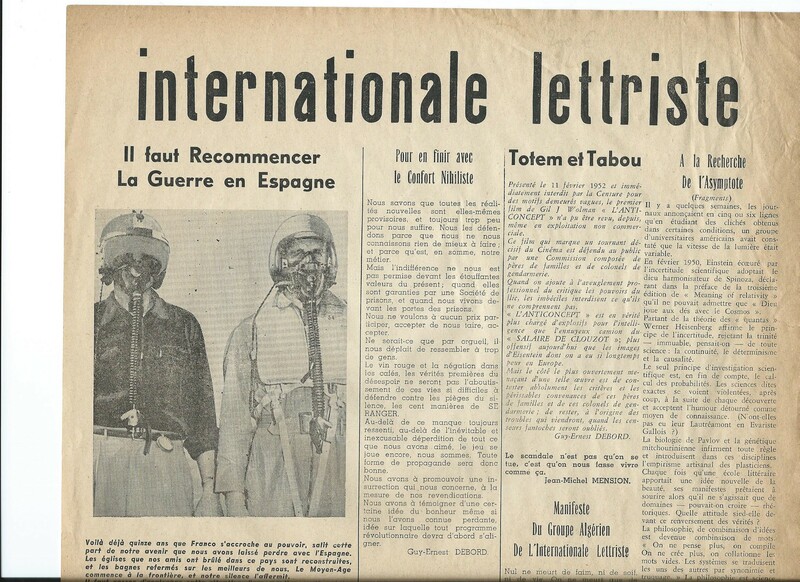 Paris: Internationale Lettriste, August 1953. 1 p. in-folio (27.5 x 43 cm). Contributors include Guy Debord (also acting as editor), P.J. Berle, Bull D. Brau, Hadj Mohamed Dahou, Gaetan M. Langlais, Jean-Michel Mension and Gil J. Wolman. 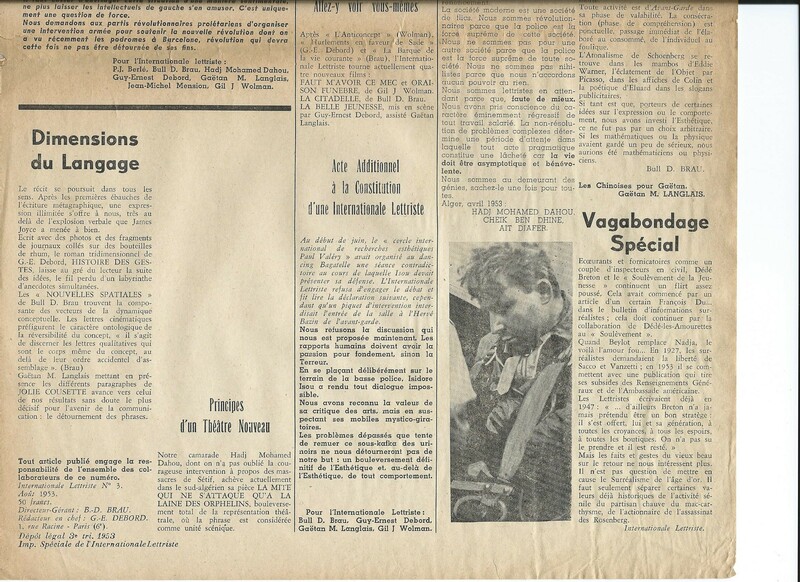 Iconic, but short-lived bulletin of the Internationale Lettriste (4 issues published in total). In 1954, Internationale Lettriste was replaced by Potlatch, which was published from 1954 to 1957.